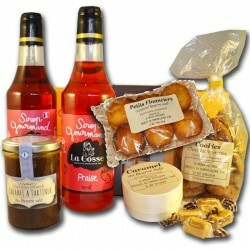 The gourmet gift set Balade in Normandy contains a multitude of local products with the flavors of Normandy. 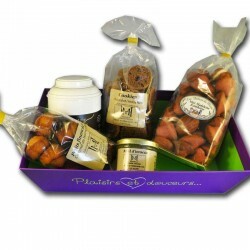 The gourmet basket ideal for lovers of Normandy. Rooster with Norman beer: The rooster with Norman beer, prepared in an authentic Normandy farm, based Rooster high on the spot. An original recipe from the North revisited. The slow cooking of this dish of formerly with the beer makes the flesh of the rooster mellow in this dish in sauce at once tasty and original. Jar of 750 g.
Salted butter caramel spread: The real Caramel spread with salted butter. A creamy and gourmet product. 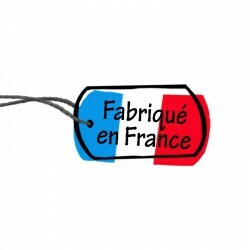 Thanks to its light texture, you can spread this caramel on pancakes, waffles or even toast with toast. A salted butter caramel that is easy to spread with its light texture. 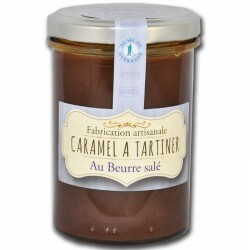 This caramel spread can also be used in the preparation of cakes, madeleines or financial. Pot 250g. Caramel sweets: The real Salted Butter Caramel. Find the taste of yesteryear of the famous caramels salted butter and sea salt Guérande. 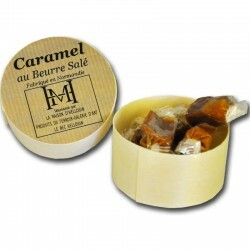 Find the taste of childhood with these gourmet caramels ... A nice little round wooden box with caramel ... Box 50g. Old-fashioned Mustard with Honey: The old-fashioned mustard with honey. 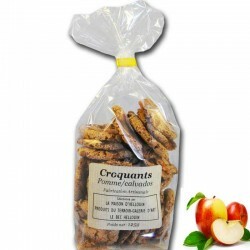 A sweet and unctuous mustard, which does not have the taste of honey, but it brings him all its smoothness. Because this mustard is fluid it will easily smear all your preparations. 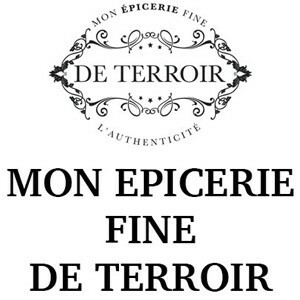 200g jar. 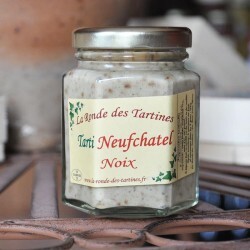 Tarti Andouille: Tarti Andouille - Calvados is a preparation based on fresh cream, andouille of Vire artisanal and calvados. 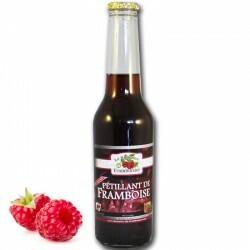 To be enjoyed on toast as an aperitif.